Following on from the last post, showing $AUDJPY inflation/deflation proxy, the hedge against the deflationary contraction which should get more traction in 2019, is the precious metals and the precious metals miners and stocks in that sector generally. 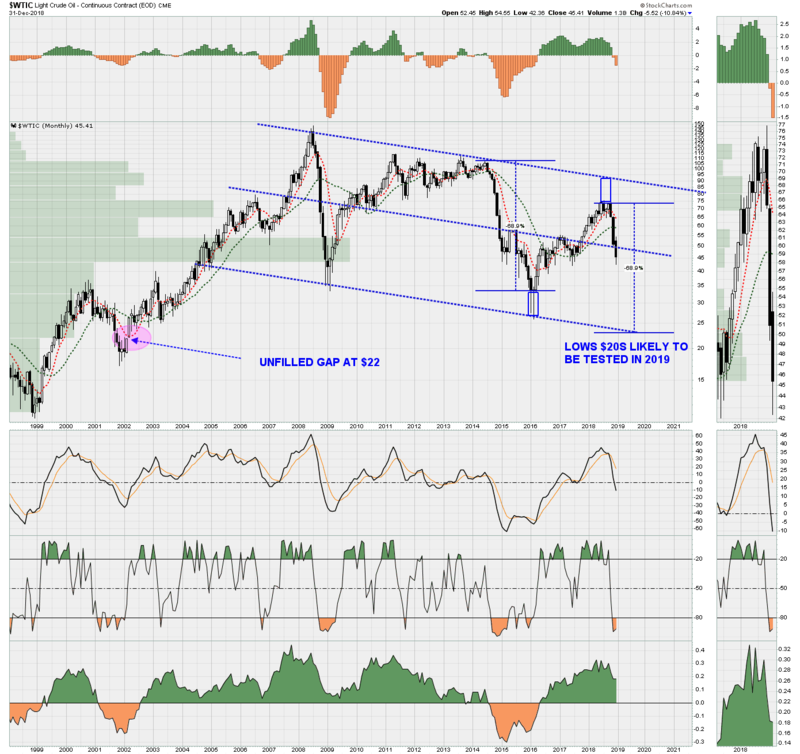 Refer below long term monthly chart below of $Gold:$CRB ratio, and also the $WTIC oil price and DBB base metals chart. With a deflationary contraction, the $CRB commodity index falls in price, against $Gold. So the hedge is not cash, it is $Gold and the associated miners and stocks. $WTIC Oil price chart shows a target of $22 for 2019. This is another 50% drop from current prices in 2019. Oil is the major component of the $CRB index. 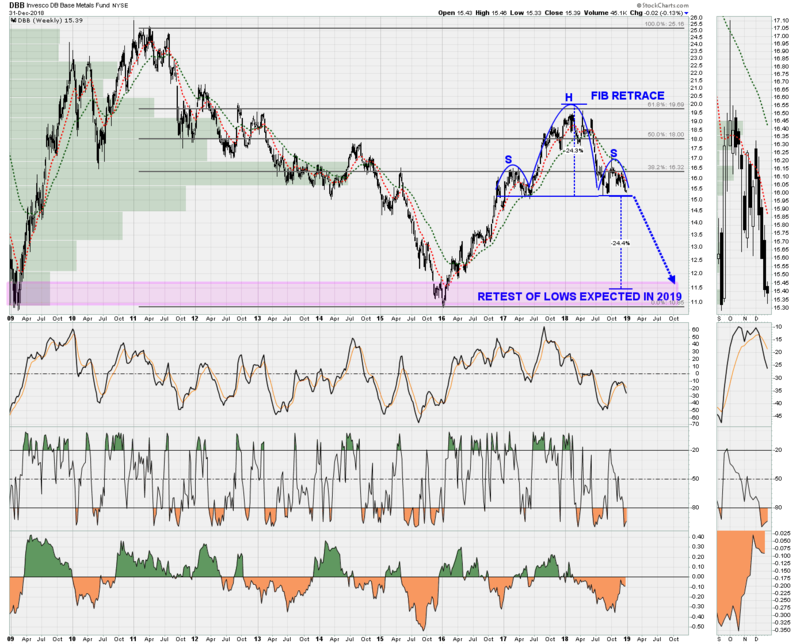 The base metals chart below also shows that a neckline break is imminent, and in that scenario, DBB should retest the lows during 2019. 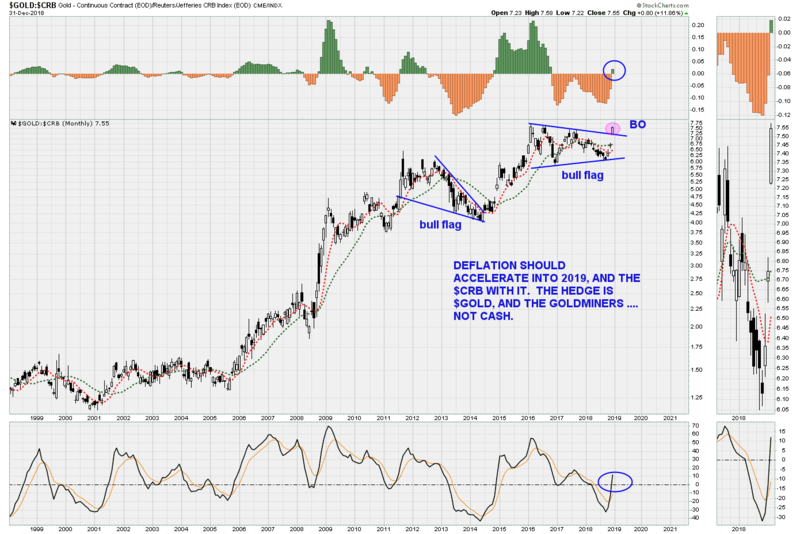 Bottom line: As deflation accelerates in 2019, $Gold and precious metals outperform, and therefore provide THE hedge. The precious metals miners benefit from reduced energy and other input costs, such as base metals mine construction costs. Kind of like the good old days at the beginning of 2017. Nice to see how fast some of them being down so much are returning. I guess a .25 stock that goes up .12 is a pretty fast recovery.